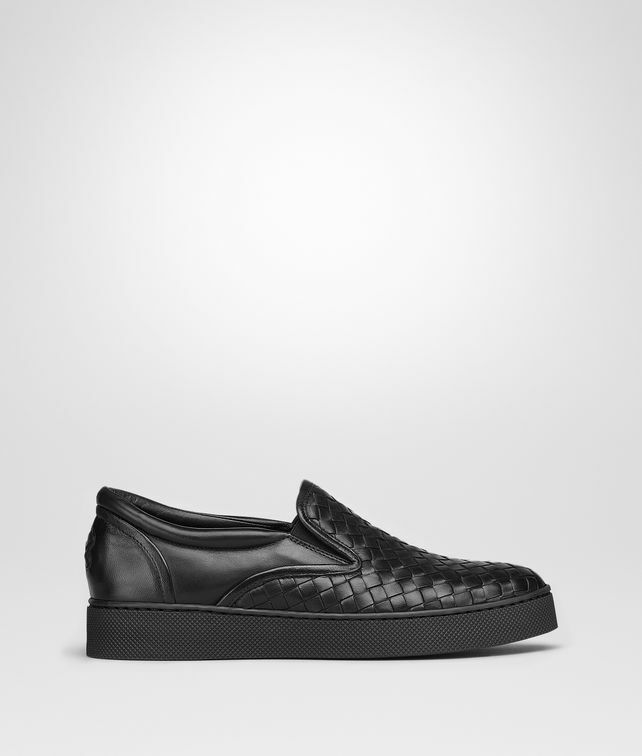 Timeless style meets artisanal craftsmanship in these versatile slip-on sneakers. This reinterpretation of the iconic men's classic, offered in black or white, features refined lines and feminine proportions. From the durable rubber base to a nappa leather upper luxuriously offset by the signature intrecciato motif, leather insoles and meticulous tonal stitching to finish, no detail of the design has been left untouched. Modern, minimal, Made-In-Italy. Fit is slightly loose to size. Additionally available at the following boutiques: Milan Sant’Andrea, New York Madison, London Sloane, Tokyo Ginza, Los Angeles Melrose, Munich and Paris Montaigne.